NorthEast United FC continued their unbeaten run away from home and climbed to the second spot. 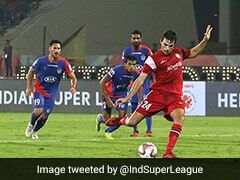 NorthEast United FC got the better of FC Pune City 2-0 in an Indian Super League (ISL) clash at the Shree Shiv Chhatrapati Sports Complex on Tuesday. 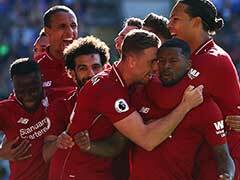 Bartholomew Ogbeche and Juan Mascia scored a goal each to seal three points for the visitors, who have continued their unbeaten run away from home and climbed to the second spot on the league table with 17 points from eight matches. 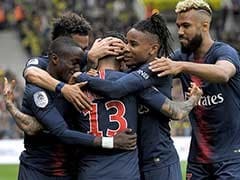 Meanwhile, Ogbeche has equalled Ferran Corominas' tally of eight goals in the race for the Golden Boot. 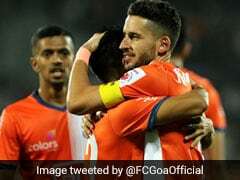 FC Pune City, who started the match with four foreign players, created plenty of chances to score but failed to beat NorthEast United custodian Pawan Kumar. 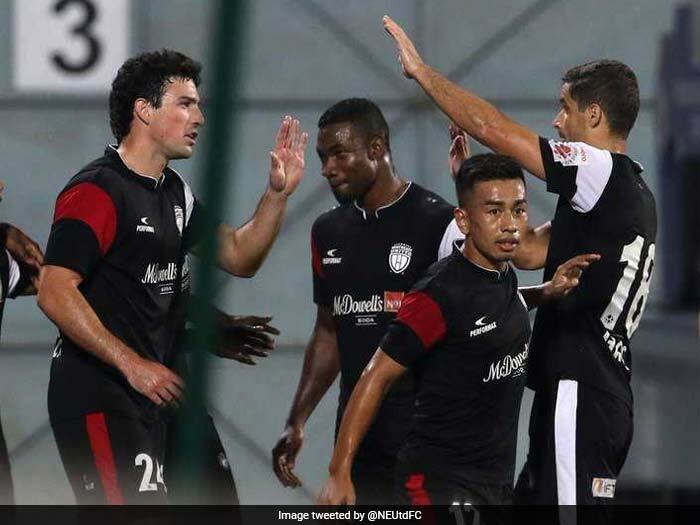 NorthEast United broke the deadlock in the 23rd minute when Federico Gallego's flat corner-kick reached Ogbeche at the far post. 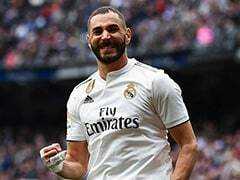 The striker chested it down and placed the ball into the net to score his eighth goal of the season. 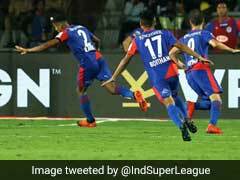 Pune soon stepped up their efforts and were almost rewarded in the 41st minute when Marcelinho's free-kick from the left found Matt Mills inside the box. 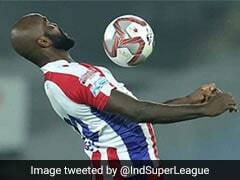 The defender rose highest and was denied by Pawan, who pulled off an outstanding save. 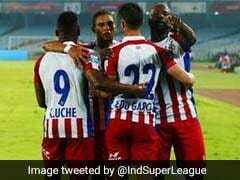 Pune started the second half just like they ended the first. They pressed for an equaliser but a resilient NorthEast United backline stood firm to keep the scores level. 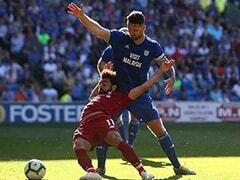 Juan Mascia dribbled into the box from the right and was brought down by Sahil Panwar in the 90th minute. The forward stepped up and converted from 12 yards to seal the win for NorthEast United.